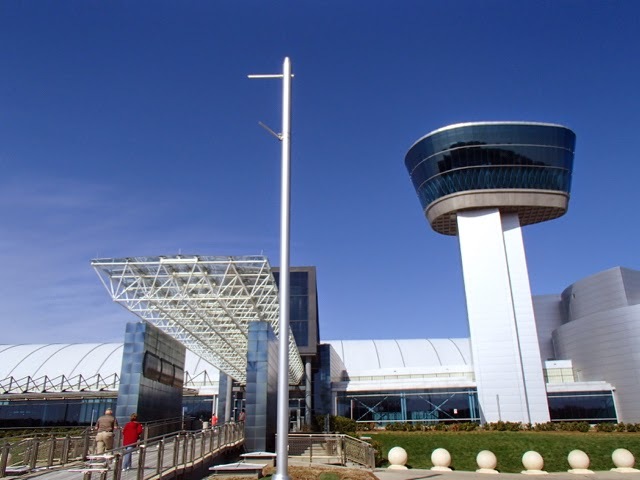 The Steven F. Udvar-Hazy Center is kind of out there for a D.C. area attraction, but it is one of the more interesting Smithsonians and because it is out there it is much less crowded making it a great option to do today with family in town rather than deal with the crowds in D.C. again. You enter the museum on the level that has the overlook paths for the hangar. There is ramp to go down to the first level, which is long and doesn't seem too steep, but it says not for wheelchairs and we just listened to it and used the elevator by the IMAX theater. Mik pointed out that this actually led to us noticing some aviation artwork in the halls back to the hangar that we wouldn't have seen if we hadn't used the elevator. Mik really enjoys the airplanes on display at this museum, but this visit we mainly just focused on the Space Hangar since we mostly came to see the Standard Missile-3 full scale model. Thus, we only did the overlook near the entrance, but the area on the other side is definitely worth going up to and there are at least two different elevators up to it to access it. 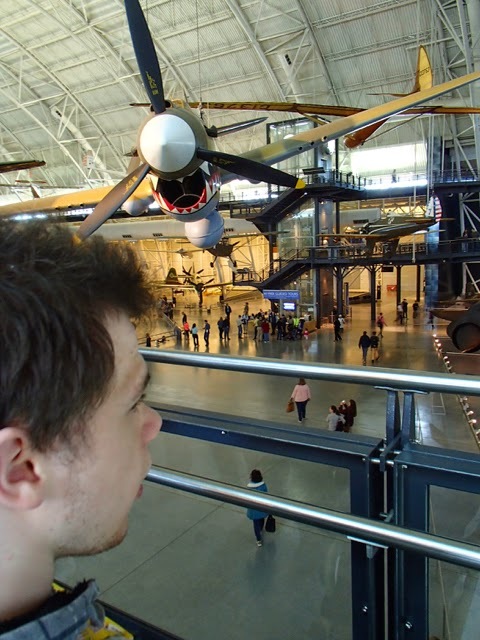 After the space hangar and before heading to the gift shop, he looked at the map and decided there were only two planes he wanted to check out (most he remembers from our last visit several years ago). One was the Boeing 307 Stratoliner Clipper Flying Cloud. 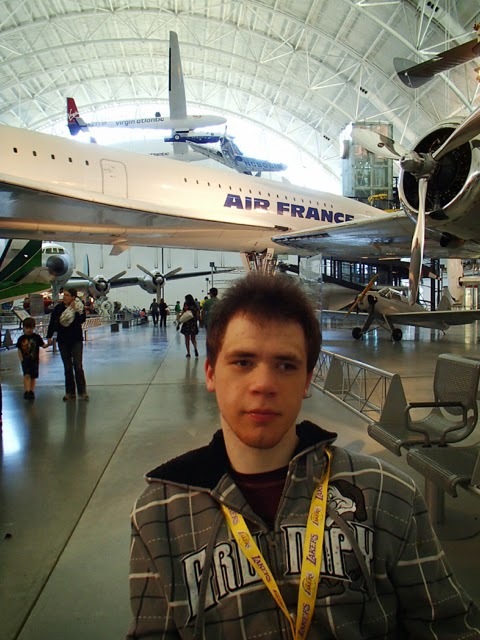 The other was the Concorde, which he wanted to see because he had heard about in a Jack Ryan book. 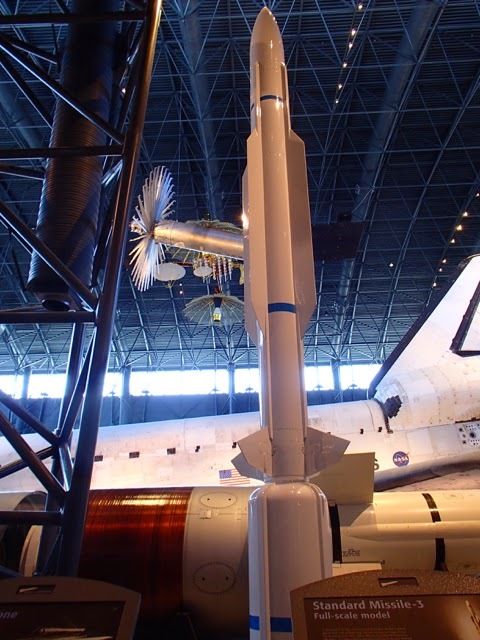 The Steven F. Udvar-Hazy Center is mostly about the big stuff in the National Air & Space Museum's collection. 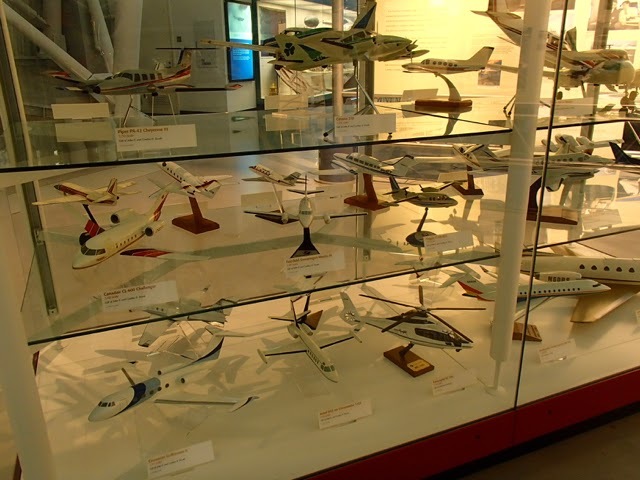 However, there are also some exhibits with models, which Mik particularly enjoyed when we happened by a case with various models as part of an exhibit on business aviation.